You’ve spent a few days in Vietnam’s capital Hanoi, and the city has captivated your senses like no other in the world. A stroll along Hoan Kiem lake has you charmed, and the Old quarter’s party scene has you spending your nights at the Beer Corner. 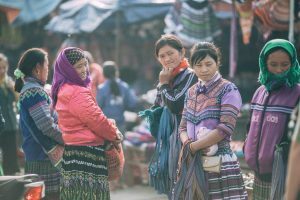 Seeing some of the more unexpected delights Hanoi has to offer is a way of discovering another side of Hanoi, an off the beaten path, which reveals the mysterious facets of the city that only locals see. 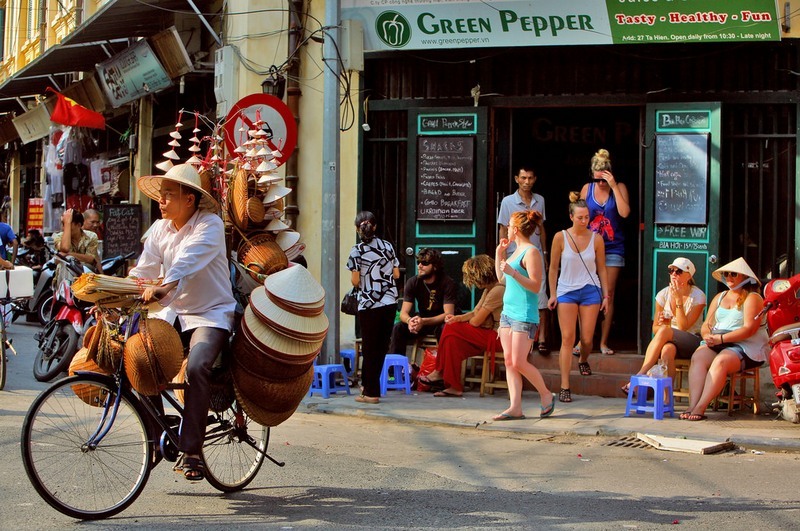 Here are some of the best alternative things to do in Hanoi. At first , Hanoi’s Old Quarter appears to be noisy and crowded, a cluster of narrow streets, deep alleys, motorcycles whizzing in all directions, while travellers, street vendors and endless cafes all occupy the highly dense, but small area. 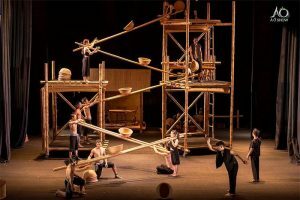 However, a walk through the labyrinth of streets and hidden spaces in between will give you a glimpse of Vietnamese life. Hanoi’s traditional “tube houses” with red tiled roofs are occupied by generations of Hanoian, preserving lifestyles and cultures of Hanoi. The “tunnel homes” unseen by casual visitors are long and deep lining the streets because they are not very wide but extend far behind the street front. Some of these buildings are just amazingly narrow that two people can barely stand next to each other in some of them. It’s a scene repeated throughout the Old Quarter, where travellers casually weave past thin sidewalk vendors selling drinks and snacks. The narrow streets are filled with motorcycles and endless horns, no wonder these places are overlooked. By exploring the backstreets of the Old Quarter, you shouldn’t expect to find any standout attraction, instead, take your time observe and stand in bewilderment of the historic hidden away neighborhoods, seeing the ancient signs and the ancient architecture of houses in this area. 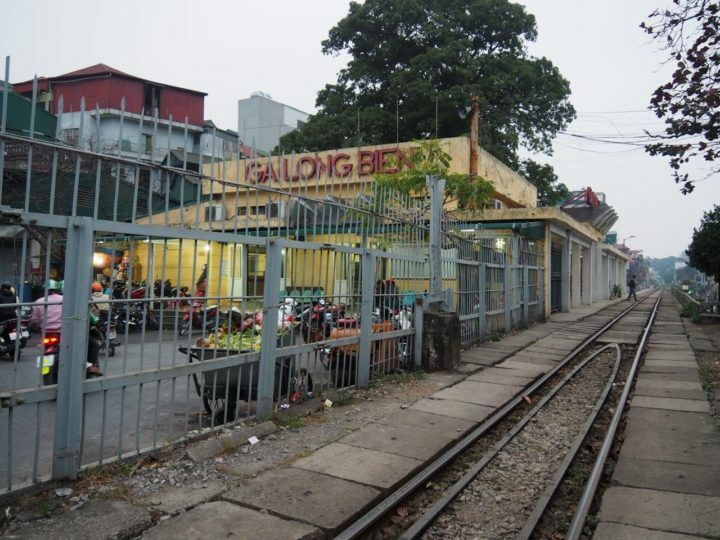 Explore the stretch of railway running between Hanoi and Long Bien Station, which are bustling epicenters of local Hanoi life, just few streets away from the traditional tourist sites. Normally, twice a day at 4pm and 7pm, the local train passes between a narrow residential neighborhood, just inches from their door steps. Observe life between the tracks where locals go about their day, from residents sipping their coffee, children playing among the tracks to the houses and markets all the way along the line. It’s mind boggling to imagine that the front yard of someone’s house is inches away a train track. Nevertheless, it makes a great scene for a photography spot, one of many Hanoi’s urban highlights. Just a 13 km bus ride away from the center of Hanoi lies Bat Trang village, an ancient pottery haven dating back to the 14th-century. Wander the winding pathways of Bat Trang’s pottery market and with every turn see beautifully, intricately hand-painted vases and tea pots. The variety of ceramic creations are overwhelming, but take your time to appreciate the very fine details painted on the vases. If you happen to peek through open doorways, you might get invited to come watch Hanoi’s ceramic artists in action, making ceramic creations of all sorts. You can even make a pottery piece yourself as a souvenir to take home. If you’re craving a different type of lunch, then a visit to Le Mat Village will have you tasting a unique snake dish. 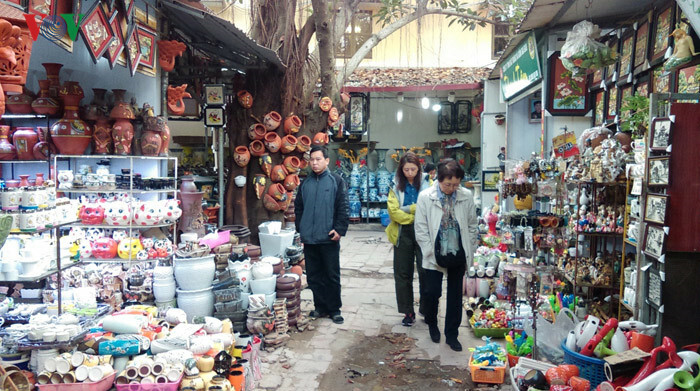 The ancient village in Viet Hung ward of Long Bien District are full of snake restaurants and the most popular snakes served are grass snakes and cobras. Cobra’s are ten times more expensive than grass snakes, and they are all alive. If the thought of eating snake sounds repulsive, then know that in Vietnam it is believed to have to promote strength and virility. Still don’t fancy it? Try the Snake wine, an alcoholic beverage made by infusing whole snakes in rice wine or grain alcohol. The wine is so overpowering that it subdues the flavour of anything it comes into contact with. You needn’t worry: Venom is dissolved in the alcohol. A visit to Le Mat Village will be an unforgettable Hanoian experience and will easily be a great tale to tell friends and family back home. In the daytime the Huc bridge is swarming with tourists, it’s hard to get a shot of it surrounding the emerald water. At night the waterside is illuminated by lanterns hanging from the trees and the bridge glows a vibrant red, adding to the reflections in the Best Vietnam Casino SitesHoan Kiem lake. 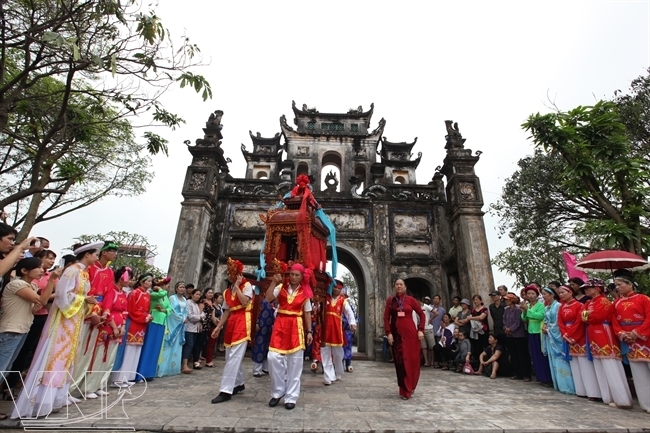 The Huc Bridge brings you across to Jade Island where you’ll find Ngoc Son Temple, a colorful pagoda which provides amazing views across the water. At the other side of Long Bien Bridge is a joint art project between Vietnam and Korea, that covers the blank walls between stone railway arches with whimsical murals. The murals depict scenes from old times in Hanoi easily illuminating the street with color and history. Pedestrians enjoy photographing each other blending into these mural illusions while the train that goes down Hanoi’s “train street” passes above. Next to the murals are plaques which provide detailed explanations of the paintings in both English and Vietnamese. 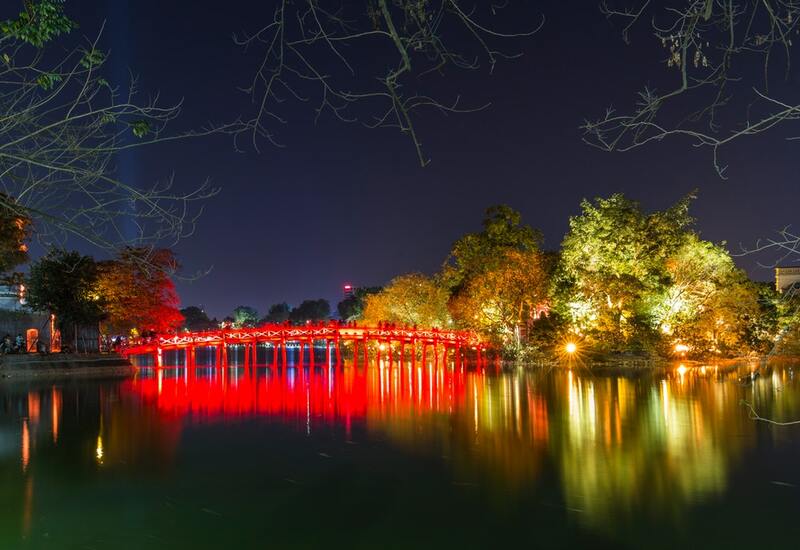 Huu Tiep Lake in Hanoi is the site that still preserves a part of the war remnants from the Vietnam War. Knocked out of the sky during a bombing raid in 1972, the US B-52 wreckage may look like a pile of metal, but it’s a sobering reminder of Vietnam’s victory over the Vietnam war. Go visit Huu Tiep lake for a stroll, and maybe locals will tell you historical stories about the war. We hope these places will keep you intrigued, wowed and even shocked. There are also much more to discover, that you’ll want to stay in Hanoi a bit longer.